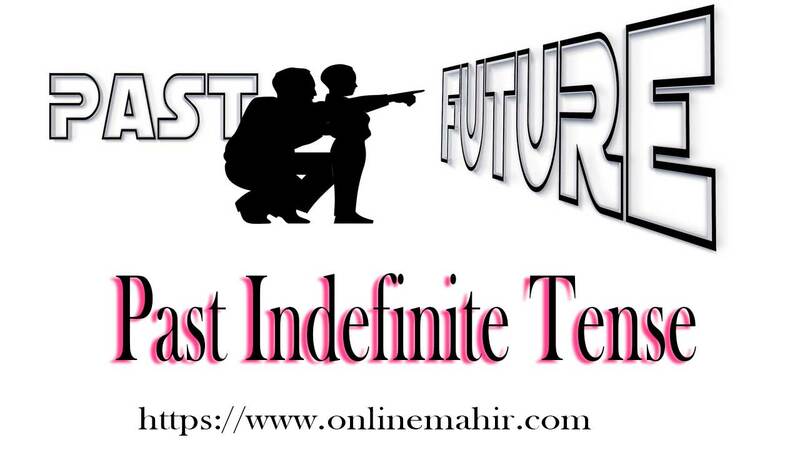 In the last lesson, learn all about speaking tips, In today's Lesson, I am going to teach you Past Indefinite Tense. you can also learn this lesson in Urdu. She stood first in English. The Quaid-i-Azam worked (=used to word) till late at night. When we talk about a time which is over, we always use this tense. we use this tense to tell stories, unforgettable days and about our past what we did in it. The past Form of the Verb is used for This Tense and this Verb is specified for only this tense. We require a "subject", "verb" and an "object" to make this tense. There is no matter if a Subject is a singular noun or a pronoun or a plural noun or plural pronoun. An affirmative sentence is a simple statement which we use to tell what we did in the past. First, we use "Subject" then "past form of the verb" and finally an "object" to make an Affirmative Sentence. Subject + Past Form + Object + . What we refused or denied in past, we use Negative Sentence for that. "did not" is add to an affirmative sentence and after that, we will take prest form of the verb to make a negative Statement. Subject + did not + first form of Verb + Object +. To ask a question in the past, we use an interrogative sentence. "Did" comes at the beginning of the sentence and we put a question mark at the end of the sentence to make an interrogative sentence. Did + subject +first form of verb + object +? Ahmed played cricket on Friday. Ahmed did not play cricket on Friday. Did Ahmed play cricket on Friday? They died in a car accident. They did not die in a car accident. Did they die in a car accident? It did not rain heavily last night. Did it rain heavily last night? A fisherman once caught very small fish. The fisherman did catch very small fish. Did the fisherman catch very small fish? A dog stole a piece of meat. The dog did not steal the piece of meat. Die the dog steal the piece of meat? I saw him in front of me. I did see him in front of me. Did I see him in front of me?